I am currently an Assistant professor at FACOM/UFMS. 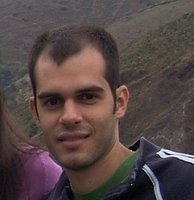 Previously, I was a postdoc at the ASERG group lead by Marco Túlio Valente. I have done my PhD studies at Inria Lille at the RMoD team lead by Stéphane Ducasse. I have been working in the area of software evolution and reverse software engineering, mainly with Moose a platform for software and data analysis. I also develop apiwave, a place where you discover and track APIs from GitHub projects. I have a MSc. and BS. degree in Computer Science from the Federal University of Minas Gerais (2010) and the Federal University of Campina Grande (2008), respectively. Please, check my CV, google scholar or lattes (portuguese) for more information.